Umberto Guidoni est un ancien astronaute italien de l’Agence Spatiale Italienne (ASI) et de l’Agence Spatiale Européenne (ESA). 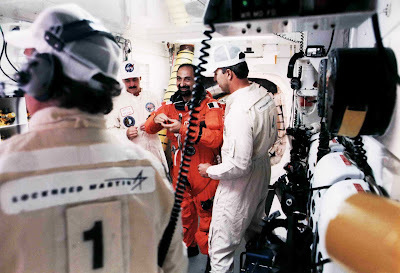 Docteur en physique et astrophysique de l’Université de Rome, il entre comme chercheur à l’ENEA (Ente Nazionale Energie Alternative) en 1983 avant d’intégrer l’IFSI de Frascati (Institut de Physique Spatiale Interplanétaire) qui est un train de concevoir un satellite captif, le TSS (Tethered Satellite System). Il sera chef du projet à partir de 1989. 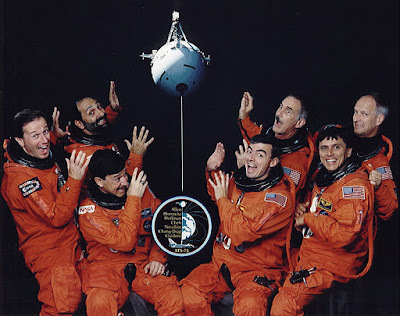 En 1990, il est sélectionné par l’ASI comme astronaute Payload Specialist et s’entraîne comme doublure de Franco Malerba pour la mission STS-46 qui a lieu en 1992. 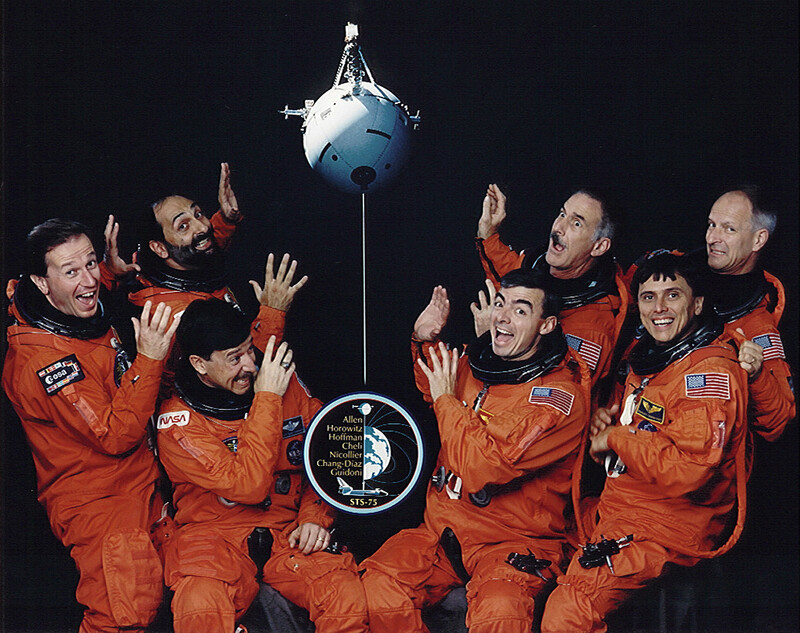 En 1994, il est sélectionné comme Payload Specialist pour la future mission STS-75 qui emportera un deuxième exemplaire de satellite captif TSS – la mission a lieu du 22 février au 9 mars 1996 et il restera 15 jours 17 heures et 41 minutes dans l’espace. En 1998, il intègre le corps des astronautes européens de l’ESA et commence sa formation de Mission Specialist. 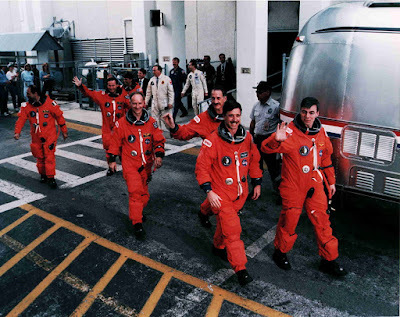 Il volera une seconde fois lors de la mission STS-100 du 19 avril au 1er mai 2001. Il restera dans l’espace 11 jours 21 heures et 31 minutes lors de ce second vol. Il devient lors de cette mission, le premier européen (ESA) à voler à bord de la Station Spatiale Internationale. 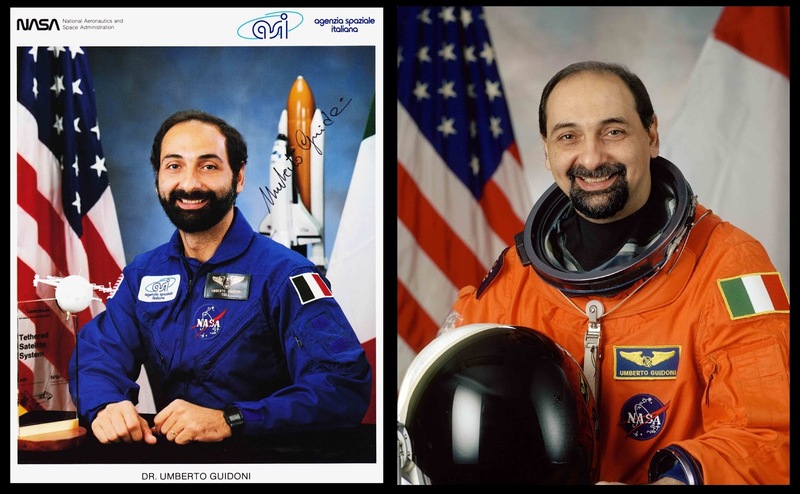 Umberto Guidoni quitte le corps des astronautes en 2004 avec deux vols spatiaux à son actif et un total de 27 jours 15 heures et 12 minutes dans l’espace. Entre 2004 et 2009, il est député européen, et actuellement se consacre à populariser les sciences et à inciter les plus jeunes à faire de la science, et à aimer l’espace. Umberto Guidoni est l’auteur de plusieurs ouvrages sur l’espace, aussi bien destinés aux adultes qu’aux enfants (voir photos en bas de l'interview). Retrouvez aussi l’interview de Scott Horowitz qui était le pilote de cette mission. I was involved with the space program even before I was selected as an astronaut. 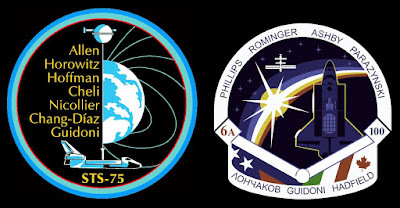 As a scientist, I worked at the National Research Council (Consiglio Nazionale delle Ricerche - CNR) on the same tether satellite that was chosen as the primary payload of the STS-75 flight. After the selection, I started the astronaut training in 1990 and I flew on the STS-75 mission, in February 1996. When I left the “crew quarters” where I had spent the last week before the flight, I felt like I was in a movie: on the way to the launch pad, the crew was on a bus escorted by police cars and helicopters (you know what I mean if you have seen the movie “Armageddon” with Bruce Willis). 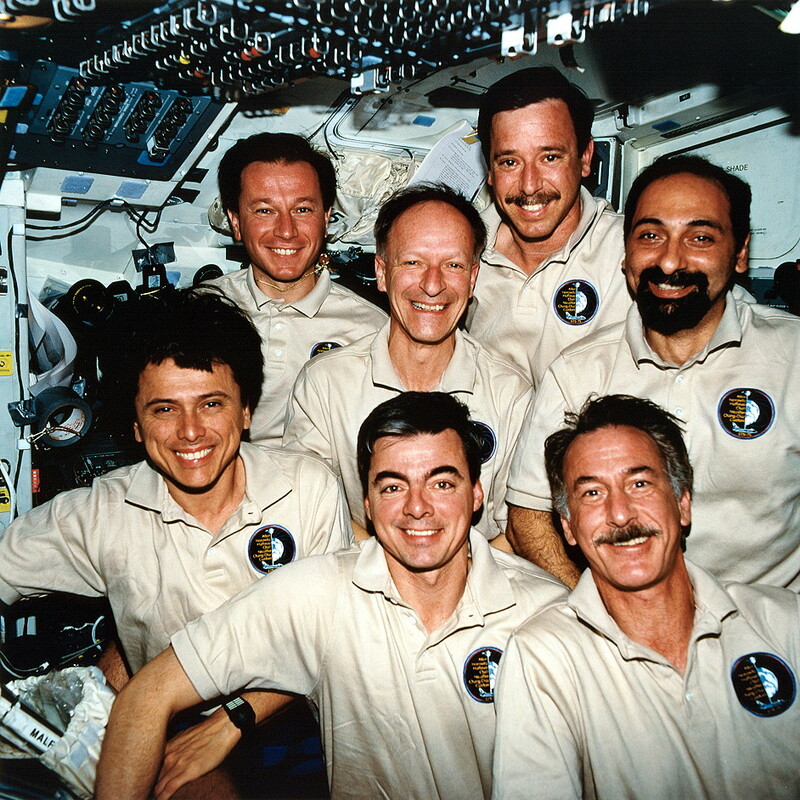 When I finally got into my seat on the Space Shuttle Columbia, I felt that my dream was coming true. Sitting on my back with my flight suit for more than 2 hours was kind of uncomfortable but I focused on the final countdown. 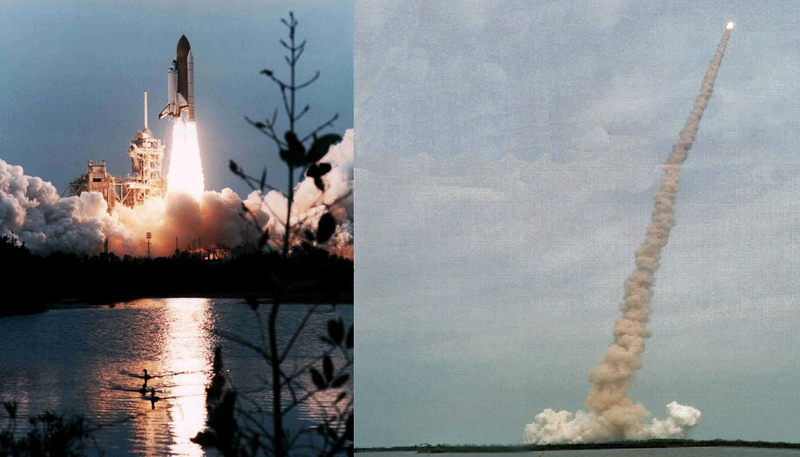 At the six seconds mark, the main engines ignited, the cabin vibrated and the entire structure swung forward. When the countdown reached zero, I felt the dull roar of the two "boosters" and the final “kick": Columbia was slowly rising into the sky. 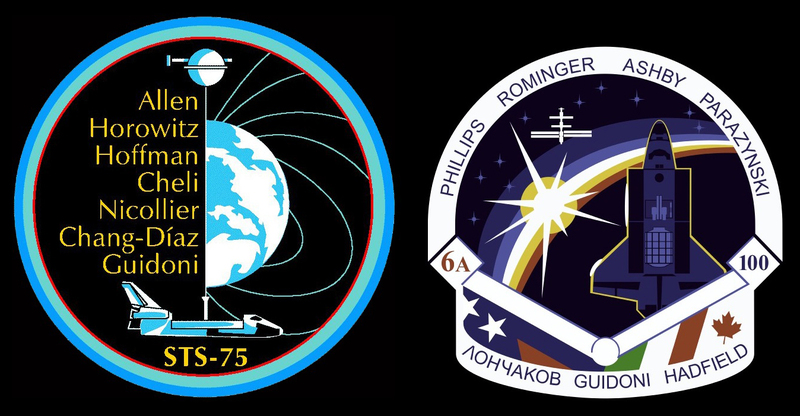 It was a dizzying ascent that brought me into orbit, in just 8 minutes. In the last part of the flight, we reached the maximum acceleration of 3g, three times the weight on Earth and, all of a sudden, the engines were silent and the feeling of heaviness in the chest suddenly disappeared. I was on my seat just because of my seat belts, otherwise I would have floated in the middle of the cabin. It takes a little while to get used to the new sensation of being weightlessness. It is like being in a swimming pool but without the drag of the water. There are no high and low, no more references and the brain get confused: the floor is where your feet are, and where is your head, it is the ceiling. So, if you are upside down, according to the Earth standard, the brain re-elaborates the space around you and, in a split second, the entire cabin rotates so you feel like you are with your head "up", but the other crewmembers are misplaced as they work with their feet on the ceiling ! The main objective of the mission was the deployment of the tether satellite up to a distance of 20 km. 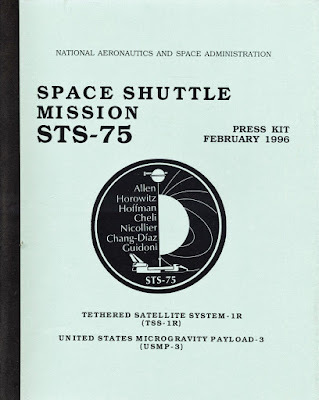 The system was supposed to generate electricity like a gigantic dynamo, taking advantage of the Space Shuttle velocity, the Earth magnetic field and the 20 km wire. 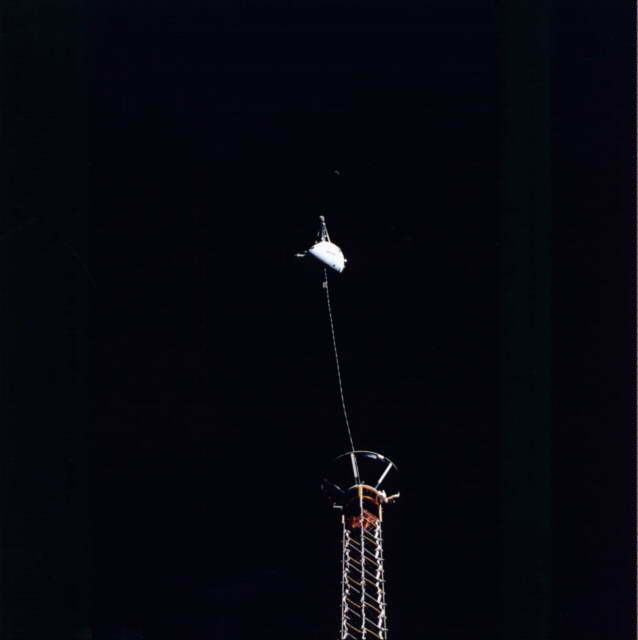 The current collected by the satellite was expected to flow along the wire down to the Space Shuttle, where it was used to power some experiments on board. 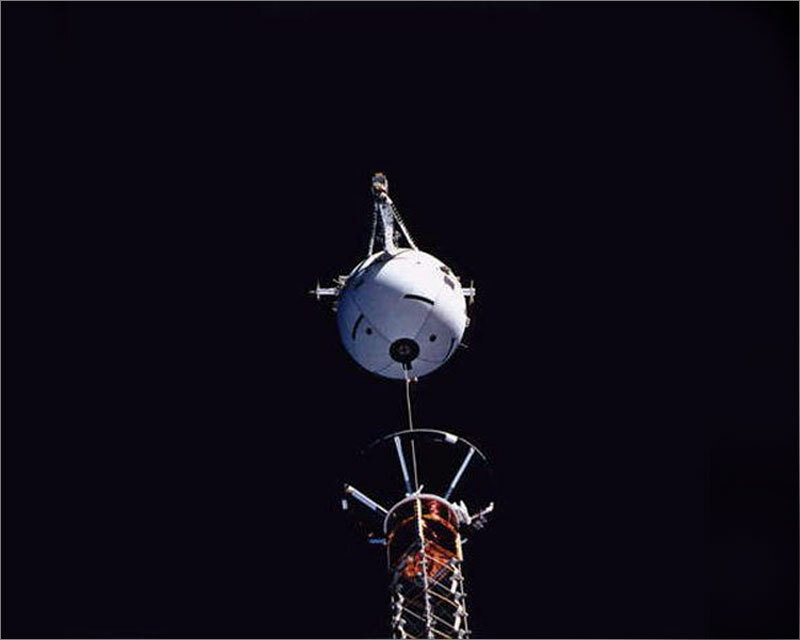 When we reached 19 km the wire was burned by an electric short on the Shuttle side and the satellite, freed up, went on a higher orbit. The experiment had a sudden stop even though the scientific data had been very encouraging. Of course that was a problem we could not fix. Foods are individually packaged and stowed for easy handling in weightlessness. All food is precooked or processed so it requires no refrigeration and is either ready to eat or can be prepared simply by adding water or by heating. The only exceptions are the fresh fruit and vegetables stowed in the fresh food locker. Without refrigeration, fresh food must be eaten within the first two days of the flight or they will spoil. In my flight I also had parmesan cheese that we ate very quickly. Generally speaking, food is less tasty in weightlessness condition and you need to add salt and pepper to make it more palatable. At the beginning of the re-entry's maneuver, the Space Shuttle uses its two orbital engines (OMS) to reduce speed and to start the free falling towards Earth. While the OMS are lighted you fill more or less the same weight you would experience on the Moon. Then nothing really happens, until the moment when the Space Shuttle reaches the bulk of the Earth’s atmosphere and starts huge fireworks. When you fly many times faster than the speed of sound, the impact with the atmosphere generates shock waves that create a “huge fireball” and a "red glow" all around. Once it has reduced its speed, the Space Shuttle behaves more like an airplane: has wings, rudder but main engines were turned off upon arrival on orbit. 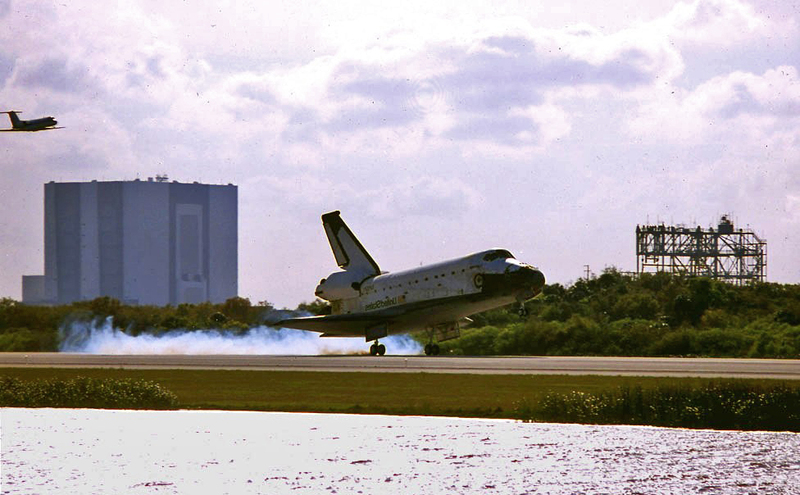 Therefore, final maneuvers are done with no engines. 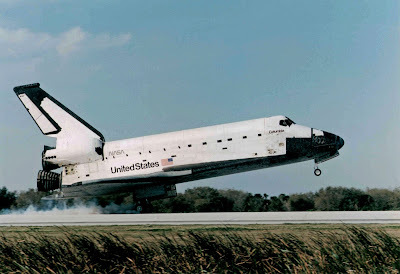 The Shuttle flies like a glider, but being heavy and with short wings it falls “more like a brick” as the astronauts are used to say. On one hand, I was glad to be back on Earth to see my family and to feel simple emotions like walking on a grass field or enjoying the smell of fresh air. On the other hand, I missed the sensation of freedom I felt floating in midair and the beautiful colors of our planet.